Jesus is greatly reduced by our culture and biblical scholarship. Many deny that He was the Son of God. They instead call Him a “nice guy,” a “moral teacher,” a “social reformer,” or a “religious fanatic.” Some even deny that He claimed to be God’s Son! But Jesus clearly claimed to be the Son of God. He tells the Jews, “I and the Father are one” (John 10:30). When the high priest charged Him under oath to tell if He was the Son of God He replied, “Yes, it is as you say” (Matthew 26:63-64). The New Testament staunchly upholds Jesus’ divinity. It calls Him “the Word [that] became flesh and made his dwelling among us” (John 1:14). It says He was “in very nature God” (Philippians 2:6). It also says that in Him “all the fullness of the Deity lives in bodily form” (Colossians 2:9). Other religions claim to know God apart from Jesus. But 1 John 2:23 says, “No one who denies the Son has the Father.” This is why it’s so important to recognize Him for who He is – if you reject Him, you reject God! Jesus’ entire life was miraculous. He was conceived by the Holy Spirit and born of a virgin. He healed the sick, raised the dead, drove out demons, and walked on water. After He was crucified, He rose from the dead and ascended into heaven. These miracles validate His claims to be God’s Son. He tells the Jews, “Even though you do not believe me, believe the miracles” (John 10:38). 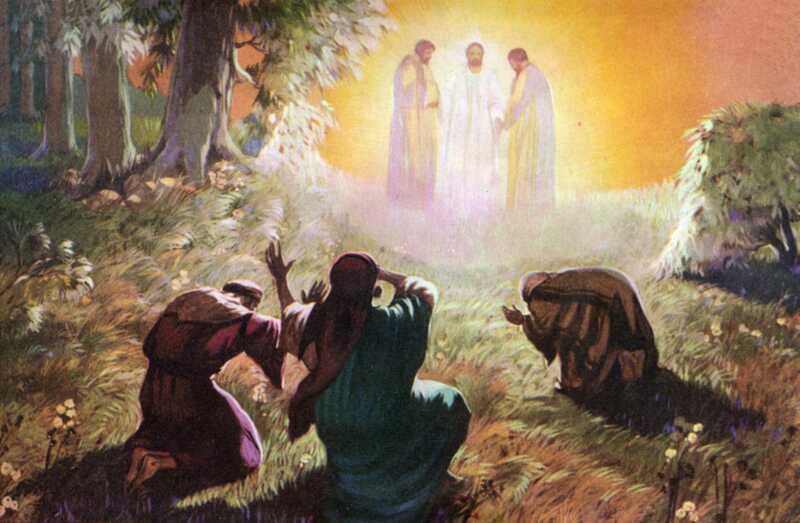 Peter tells them, “Jesus of Nazareth was a man accredited by God to you by miracles, wonders, and signs” (Acts 2:22). Could anyone perform these miracles if He were not God’s Son? Jesus taught His disciples and the crowds that followed Him. His teaching amazed them “because he taught as one who had authority” (Matthew 7:29). He taught about the kingdom of God and true religion. He condemned hypocrisy and self-righteousness. These teachings validate His claims to be God’s Son. He tells the Jews, “My teaching is not my own. It comes from Him who sent me” (John 7:16). He also tells them, “I do nothing on my own but speak just what the Father has taught me” (John 8:28). Could anyone teach with such authority if He were not God’s Son? Every detail of Jesus’ life is predicted in the Old Testament. His lineage, the time and place of His birth, His ministry, His trial and crucifixion, and His resurrection were all predicted by the ancient prophets. These predictions validate His claims to be God’s Son. The Gospels often say, “To fulfill what was said by the prophet.” Jesus often says, “So that the Scripture may be fulfilled.” He matched the prophetic sketch of the coming Messiah. Could anyone fulfill such specific predictions if He were not God’s Son? Jesus changes peoples’ lives. He forgives those who repent of their sins and embrace Him as God’s Son. He creates them anew in His image and puts His Spirit in them. He hears their prayers and pleads with God on their behalf. He replaces their hatred with love, their sorrow with joy, and their anxiety with peace. He replaces their dirtiness with cleanness, their guilt with freedom, and their weakness with strength. He replaces the futility of life with purpose and a mission. Could anyone produce such powerful change if He were not God’s Son? What most convinces you that Jesus is God’s Son? Share your thoughts with a comment below! May He continue to change your life and answer your prayers in undeniable ways!